Acceding to a special request by the Indian Minister of Communications and Technology, Kapil Sibal, Nokia today launched Nokia 144 with Urdu language support. The Urdu language handset will be on sale across India for Rs 2,579.00. The Nokia 114 is a entry level dual-SIM (GSM + GSM micro SIM) phone which fulfills the basic telephone and internet needs. The Urdu based Nokia 114 will be especially useful to more 150 million Urdu speaking population in India. Nokia 114 Urdu language phone is already available in Pakistan and a few west Asian countries. 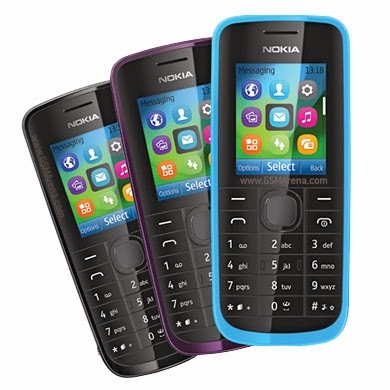 Specification wise Nokia 114 is a bare minimum phone which is understandable because of the price at which it is available. The Nokia 114 has a 1.8 inch QVGA display which will give you a resolution of 128 x 160 pixels at~114 ppi pixel density. It has a 0.3MP VGA rear camera which give you video output of 176x144@15fps. The phone comes with a 16MB internal memory which is more than enough for basic texting and photography needs. However Nokia 114 also has a microSD expansion slot for support upto 32GB if you wish for additional memory. The Nokia 114 comes with a 1020mAh battery and measures 10 x 46 x 14.8 mm while weighing only 80 gms.